All our services are regulated under Transport Malta and EASA regulations. Our AOC is fully compliant for passenger transport operations. More capabilities are being added all the time along with more aircraft models. HSML’s concept is to ensure all aspects of helicopter operations work smoothly. We have our own engineers who will design fueling, defueling and filtration systems for yachts. We also can assist with the helideck design to ensure that it works from a practical point of view. Our engineering background allows us to communicate effectively with the shipyard and come up with workable solutions. We have established ourselves as consultants in the design and operation of helidecks including all the equipment required to maintain an aircraft onboard. We have our own truck and custom helicopter trailer. The crane is rater at 3.5tonnes and allows the vehicle to pick up a twin engined helicopter via its mast head. The truck and trailer are based in our norther Italian bases. It can operate throughout the EU. 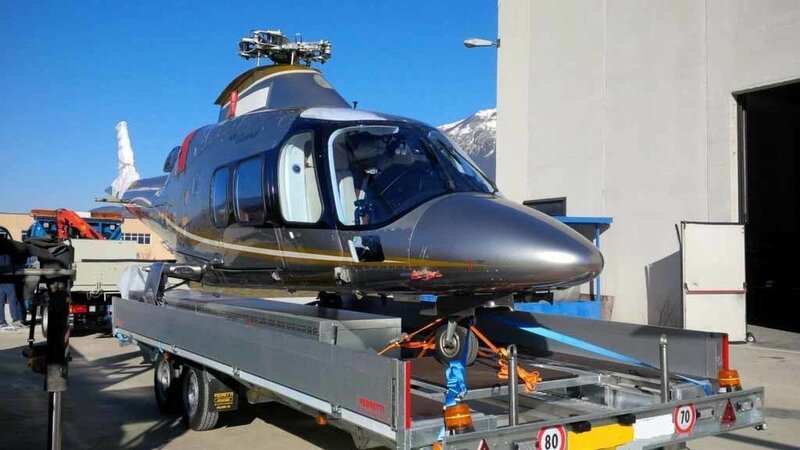 When the helicopter is grounded and needs to be transported back to one of our bases for maintenance, our truck’s integrated crane will lift the helicopter onto the custom built trailer. The helicopter rotor blades are fitted within the blade box. We also work for leasing companies. Aircraft may be delivered or relocated by trailer when they are no longer registered or the regulators withdraw flight status and the aircraft needs to be relocated. The Helicopter may also be repositioned by trailer. We choose Snap-on tools ATC Level 5 Tool boxes and a full complement of tools for a number of reasons. The toolbox is computer controlled and connected to the internet. The toolbox has an inbuilt touch screen controlled inventory system which tracks all the tools, who used them, for how long and for what task. This provides a log for maintenance system. Many aircraft manufacturers now require this level of control over tools. Snap-on tools ATC Level 5 is considered to be the pinnacle of tooling. The tools are sacrificial, which means that they are always softer than the metal they will be working on. 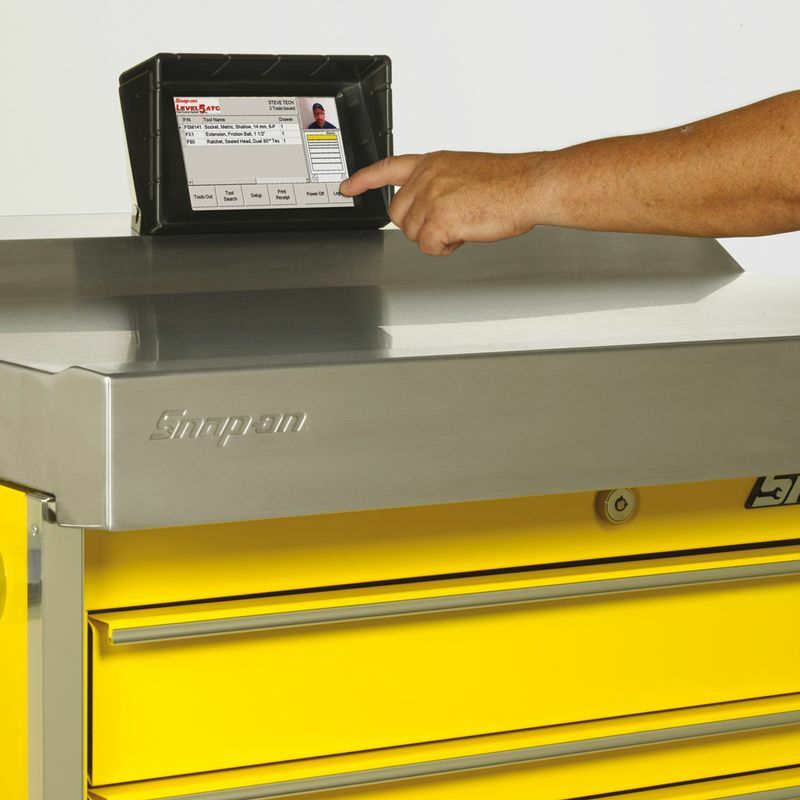 Snap-on provides a replacement service for damaged tools. HSML is one of the first full service helicopter companies in Europe to use Snap-ons Equipment in all its bases.